John Henry Clay is a novelist and lecturer in medieval history at Durham University. The Butler Scholarly Journal caught up with him to discuss his highly acclaimed debut novel, The Lion and the Lamb (July 2013). The Butler Scholarly Journal: What drew you to mid-4th century Roman Britain as a setting for your first novel, The Lion and the Lamb? John Henry Clay: I first came across the period as an archaeology undergraduate, and something about it caught my imagination. It was the ‘Golden Age’ of Roman Britain, a world of palatial country villas and bustling cities, with a highly developed economy and culture. But historical hindsight also shows that it was an Indian summer – within a couple of generations it was all swept away as the empire began to crumble. It provides the novelist with a ready-made backdrop of great social tension and change, rather like the French or Russian Revolutions. BSJ: Your three main protagonists are all in their teens. Why did you choose to focus on young adults – does this have anything to do with the target audience you envisaged whilst writing? JHC: It has a lot to do with my age when I started writing the early versions of the book! The book follows them as they mature and grow and try to find their places in the world, and hopefully this is something everyone above a certain age can relate to. I aimed the book at a general adult audience, from late teens onwards. BSJ: How do you imagine that readers today might connect with your story; is the ‘Golden Age’ of Roman Britain, as it has been called, relevant to the present in any particular ways? JHC: In 2005 Bryan Ward-Perkins of Oxford University wrote a book, The Fall of Rome and the End of Civilization, in which he uses the end of the Roman empire as a warning against complacency in our own civilisation. We can also look at Yugoslavia in the early 1990s to see what happens when a complex, modern society descends into internal conflict and economic collapse, but a similar disaster befell Britain 1600 years ago. We must not imagine it can’t happen again. The fourth century was also a time of religious tension and a widening gulf between rich and poor, and those issues are clearly familiar to us today. BSJ: In what ways, if any, do you think that The Lion and the Lamb might be a departure from work of the same genre? JHC: It’s tricky writing a book that at once fits into a genre and at the same time tries to bring something new to it. Roman historical fiction is popular these days, and tends towards the sub-genres of military adventure (Simon Scarrow, Ben Kane), or crime/mystery (Lindsey Davis, Steven Saylor). I tried to do something different by choosing a time and place that was relatively unexplored in fiction. At the same time, this was always going to be a novel mostly about relationships and family – although there is plenty of intrigue and action along the way! BSJ: As a professional historian, what made you decide to write a historical novel? Do you think it’s possible to write convincing historical fiction without this background in research? JHC: I was a budding novelist at 17, long before I even planned to become a professional historian. Really I always wanted to be a writer; I ended up in academia basically through chance, and I feel lucky that both ‘careers’ developed in tandem and now fit together so well. It’s absolutely possible to write convincing historical fiction without an academic background, although ‘convincing’ doesn’t necessarily mean the same as ‘accurate’. The most important thing is to be a good, immersive storyteller, and not make any egregious mistakes. BSJ: In your opinion, what sets ‘historical fiction’ apart from other fiction? JHC: The setting and backdrop, but apart from that very little. It isn’t a real genre in the sense that crime, romance, thriller, horror and so on are genres. This becomes clear when you consider that all of these other genres can quite happily exist within a historical setting. One might also ask how valid it is to place a crime novel set in Republican Rome next to a romance set in the Napoleonic Wars, simply because they both take place in the past. And where do you draw the line between ‘historical’ and ‘contemporary’ fiction – the 1960s, World War 2? So as labels go, it’s rather cumbersome, but it has its uses. Many people are interested in the past, and reading historical fiction is an exciting and (one hopes) informative way of chasing that interest. BSJ: Might ‘historical fiction’ fulfil a role that academic history writing can’t? JHC: Certainly, which is partly why I write historical fiction. There are places that I can’t go, and wouldn’t want to go, as an academic. Academic history can sometimes seem very dry, especially in periods where we lack the sorts of sources that bring us close to human experience. Late Roman Britain, for example, is almost entirely devoid of historical sources – most of what we know comes from archaeology, which can be very impersonal. Fiction allows me to build up a plausible picture of what it might have been like to be alive at that time. Even when we have excellent sources, though, there is always room for the imagination to fill out the emotional experience. BSJ: Professional historians are very much ‘accountable’ for what they write. How far did you feel any kind of ethical obligation to present the past accurately when writing The Lion and the Lamb? JHC: It was very important for me to present a plausible picture of the past. I don’t deliberately go against the evidence as some novelists do (by rearranging the timing of historical events for narrative purposes, for instance), but at points I do push the evidence further than I ever would in academic writing. For example, parts of the novel take place in two Roman forts that, judging from the archaeological evidence, were probably never occupied in the fourth century. BSJ: On a similar note, you say in your Historical Note that ‘while the fourth-century empire is relatively well documented in general, our sources rarely have much to say about Britain’. Would you say that this comparative lack of evidence was attractive to you, as a fiction writer, in choosing Britain as a setting for your novel? JHC: It was attractive in a weird sense. It is frustrating to be so ignorant of a swathe of British history, but this very frustration provided me with the impetus to recreate, if only in fiction, a world that has been virtually lost to us. The other advantage is that I was less constrained when it came to constructing the narrative. The backdrop to the novel is the so-called ‘Barbarian Conspiracy’ of 367, but we know so little about it that I was able to fashion it for my own purposes without worrying about being ‘unhistorical’ as such. BSJ: What kind of fiction do you most enjoy reading? JHC: I don’t seem to have much time to read fiction these days! At the moment I’m working through George R. R. Martin’s A Song of Ice and Fire. I’m currently on the fourth book, so I have a fair way to go yet. Generally though I tend towards literary fiction – the authors I’ve read most extensively would be Saul Bellow, J. M. Coetzee, Patrick McCabe, Ian McEwan and others of that sort. I’m also a big Jane Austen fan, which probably comes through in some of my characters. BSJ: What did you find most challenging when writing your novel, and do you have any words of wisdom for aspiring novelists? JHC: The hardest thing was keeping it going draft after draft, and not giving up. You know when you hit the right formula, even if that means going back and starting from scratch. My early failures were down to lack of planning, plain and simple; I knew where the story started, but not where it was going, and I would run out of steam after a few chapters. It was only when I broke the entire plot down into individual narrative moments, and saw the whole thing spread out before me, that it all made sense. The plot changed a lot during the writing process, but this is fine – the important thing is to have a blueprint from which you can start. My second piece of advice is to treat writing for what it is, namely a craft that you have to learn, just as you might learn woodworking. It has techniques and conventions that you must master before you can reach your creative potential, and part of the craft lies in using those techniques and conventions as unintrusively as possible. Read Mark Twain’s Rules of Writing, and stick to them religiously until you feel confident enough to transgress; read B. R. Myers’ A Reader’s Manifesto, and heed his warnings against pretentious prose. BSJ: Is there any moment that particularly stands out to you so far regarding the reception of The Lion and the Lamb? JHC: I will always remember my first ever talk and book signing, which took place at Chedworth Roman Villa in Gloucestershire. It was so much fun, and to be signing books as a published author in the very villa where much of the story is set was a dream come true. BSJ: Might we expect to see more novels from you in the future? Do you think you would ever be tempted to write outside the genre of historical fiction? 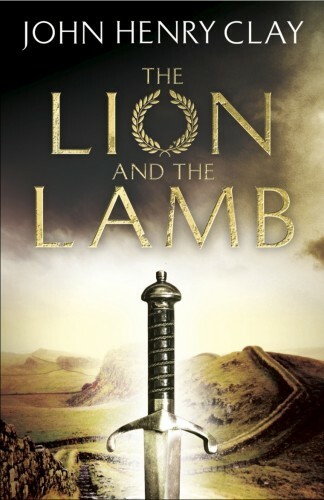 JHC: I’m working on my second novel, which is also set in the late Roman period but isn’t connected with The Lion and the Lamb. This will be published in the next year or so. I do have ideas for non-historical novels, but most of the ones I really want to write happen to be Roman or medieval, so they should keep me busy for a few years!